We are an multi-national family so air travel is a must. The first trip we took was tough, keeping our toddler held and out of the way of people was so hard. Then when she needed to nap where to put her while on the layover? I used a baby carrier to keep her on my back, but that can only work for so long. For us the answer was a Go Go Kidz Travelmate. 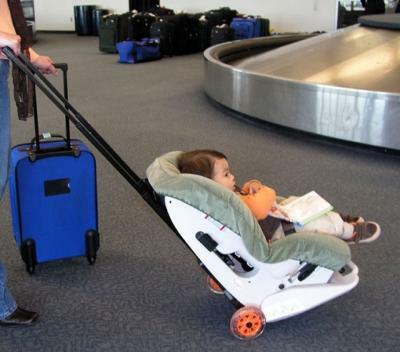 It is a device on wheels that hooks onto your childs carseat and you can wheel them through the airport. It kept our daughter safe, happy and amused as we used it to wheel her all around, she napped peacefully and was much easier to keep track of! And the added bonus that you have their carseat with you when you land. 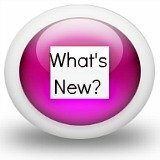 On the plane I only take small things, a small pack of crayons, a mini Magna Doodle and a few books - the key is that everything needs to be new to the child! Wow Danielle - thanks for that great tip. I have never even heard of Go Go Kidz but it looks like a great idea.